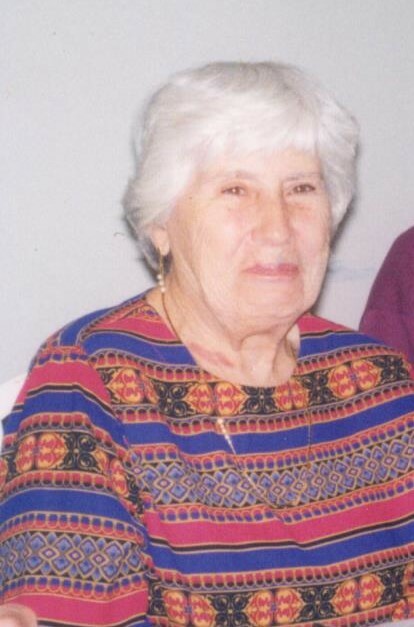 Obituary for CARMELLA M. "CLAIRE' RUSSO | Nardolillo Funeral Home, Inc.
of Boca Raton Fl, formerly of Johnston passed away on Friday April 5, 2019 at Boca Raton Regional Hospital. She was the beloved wife of the late Thomas RussoJr. Born in Providence, she was the daughter of the late Gaetano and Cesarina (Celia) Zompa. Carmella was a display specialist for the former Gorham Manufacturing Company for 25 years retiring in 1981. She loved going to the casino’s, golf, bowling and her Red Sox and was a former member of the Knightsville Senior Club. She was the devoted mother of Jeffrey Russo and his wife Jaclyn of Boca Raton, FL. She was the dear sister of Rose M. Izzi of Cranston and the late Eugene A. Zompa, Cesarina A. “Honey” Russo, Mary Amadio, Anna DelSignore and Pasco “Pat” Zompa. She was also survived by numerous nieces and nephews. Funeral from the NARDOLILLO FUNERAL HOME & Crematory 1278 Park Ave. Cranston on Saturday April 13, 2019 at 8 a.m. followed by a Mass of Christian Burial in St. Mark’s Church Garden City Cranston at 9 a.m.
Burial will follow in St. Ann Cemetery, Cranston. Visiting hours are Friday from 4 p.m. to 7 p.m. In lieu of flowers memorial contributions may be made to: St. Mark’s Church 15 Garden Ct. Cranston, RI 02920-5701.